Mom's backyard is a treasure of fresh fruit, herbs and vegetables. 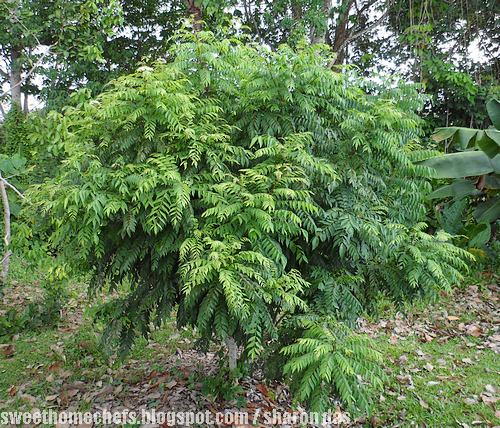 This is a curry leaf tree (Murraya koenigii). It stands over 6ft at present and can grow as high as 20ft, some say. One of the sturdiest plant in our tropical climate! 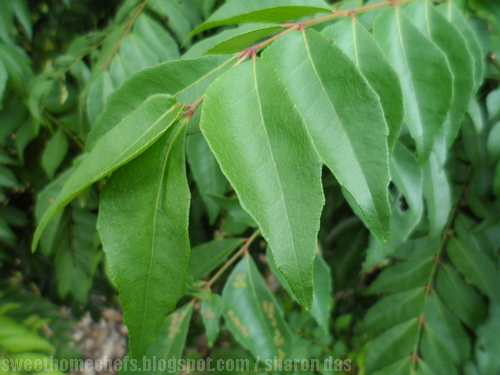 Curry leaves are widely used in Indian cooking and curried recipes. Fresh is best way to go for that vigorous aromatic whiff which I describe as an intense smell of toasted woody cinnamon and citrus. Dried leaves have been found to be mild in comparison and does not smell quite the same, in my opinion. It's easy to find fresh leaves where I live so I often opt to air dry the extras in an effort not to waste. - Leave it to dry in an airy, shady area. Then, store it in an airtight container. If you want that distinct aroma of fresh curry leaves, then this is not a great way to store it. If you wish to use them as a dried spice, this works out alright. It can be crushed or blended into powder form. Below are some ideas on keeping the leaves fresh. - Keep the leaves on the small stem. Wash, pat dry and spread it out on a paper towel. Allow it to dry fully. Then, layer the stems on paper towels in an air tight container. Cover and refrigerate. You can still store it the same way if the leaves have been stripped from the small stems. There is no need to layer it then. It should stay alright for a couple of weeks. - Alternatively, you can check out this website which shows us step-by-step how to preserve the leaves in the fridge using newspaper and also how to microwave it dry into a crushed spice. - Seal it in a freezer zipper bag. To do this, wash the leaves and pat dry. Spread it out on a paper towel and allow it to dry fully. Put it in the bag, squeeze the air out and leave it in the freezer. It should last between one to two months. I have read about preserving fresh herbs by freezing it in olive oil, butter or water, in ice cube trays. I don't know anyone who has done it this way for curry leaves but it's worth a try. Where I live, fresh curry leaf is regularly used in cooking to add aroma. It is often left uneaten, and is discarded after use. Ayurvedic medicinal teachings encourage us to eat curry leaves because of the benefit it brings health-wise. There have been scientific findings on its medicinal properties but how much of it is enough to produce a significant impact is largely unknown. Some people eat the leaves raw. The leaf is not known to be pleasant tasting. 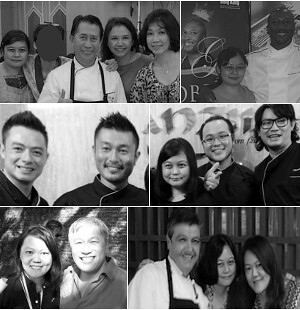 That is perhaps one of the reasons why it is not largely consumed here other than as a flavouring ingredient. If raw is not your thing, it can be chopped and stir-fried along with other vegetables or blended and mixed into a curry paste for cooking. 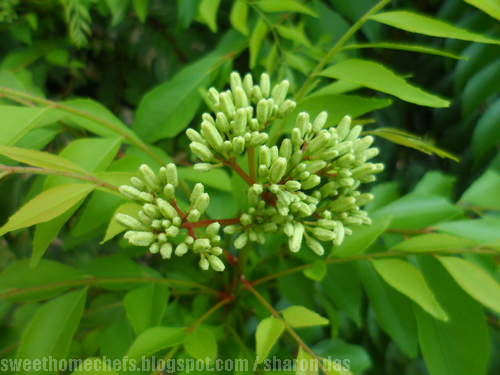 Curry leaves can also be made into a chutney. There are many ways you can work with it. Stirring in a couple of leaves into flavoured rice is one way to go. For us, the curry leaf is also tossed in when making toasted nuts. It adds a bit of colour to that bowl of brownness. We also like including it in crispy snacks and chips. When it is dried and crushed or in powder form, it makes a neat addition to many recipes like stews, savoury bakes and so forth. Dried leaves emit a slightly different fragrance, something in between lightly charred sweet and savoury. None of that distinct curry leaf aroma. What you can do with the curry leaf is up to your imagination. I sometimes use fresh ones to garnish finished dishes as well. 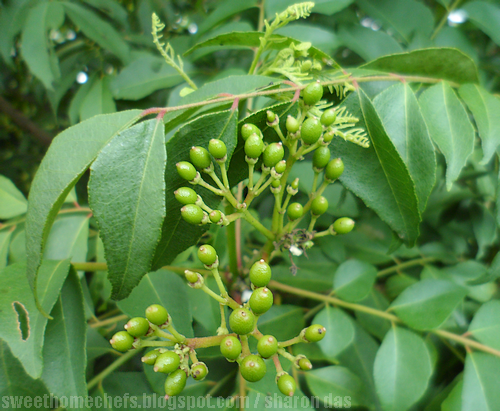 The curry leaf tree bears little berries that are edible. The seeds are said to be poisonous. So, eat only the outer layer. The berry starts out green, then it goes into a shade of red before ripening into a black coloured fruit. These seeds can be planted, but it must be done when it is in its freshest form. I won't get into the details of growing a curry leaf tree here because that is another topic altogether and deserves personal experience. 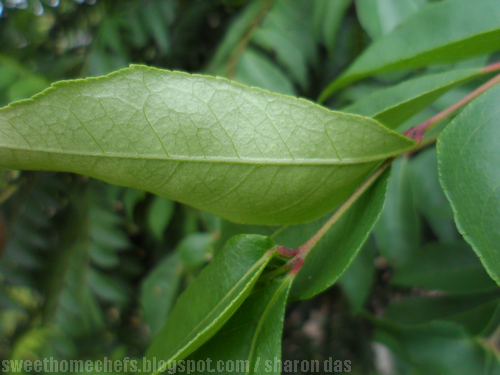 To end, are you planning to grow your own curry leaf tree? I know I am! Is this the same as yellow powder, then I can buy in the shop? Or something else? It's different from the yellow powder, which is a blend of spices (I assume that you mean regular 'curry powder'). This is a very fragrant leaf that's usually thrown in fresh and whole, near the beginning part of cooking curry. I ave not really used curry in my foods. It looks like a great spice though. I need to get myself a curry leaf plant too. Hope I can find one in our local markets. Awww...Zoe. I know the feeling!